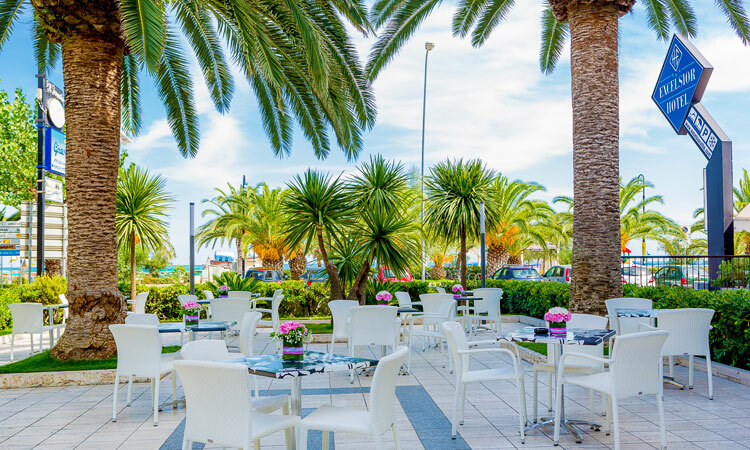 The Hotel Excelsior offers its guests a comfortable bar area, with an indoor lounge and a garden, where you can enjoy the beautiful view from our hotel, which is located just opposite the beach. the American bar of the Hotel Excelsior, one of the best holiday rentals in Abruzzo by the sea, is waiting for you to spoil you with delicious cocktails and the best local wines, and also offering tasty snacks and appetizers that you can enjoy in total relaxation. The bar is fully equipped and bicycles are made available for costumers to visit the city and reach the beach easily. Contact the staff of the Hotel Excelsior to find out what else you can find in one of the best Abruzzo holiday rentals and ask for a free estimation for your next beach vacation!